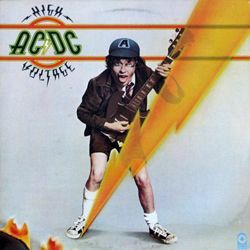 Complete AC/DC catalogue now available on iTunes | What Hi-Fi? AC/DC fans rejoice – the band's entire back catalogue is now available on iTunes. Columbia Records and Apple say it's the first time AC/DC's albums have been available digitally and the reelase is exclusive to iTunes. Back in 2008, the band said iTunes could kill music and wanted no part of it. "Maybe I’m just being old-fashioned, but this iTunes... it’s going to kill music if they’re not careful," singer Brian Johnson told Reuters. But it seems the band's negativity has softened over time. From their 1976 debut High Voltage to seminal classic Back In Black and the 2008 hit Black Ice, every one of AC/DC's 16 studio albums, along with four live albums and three compilation albums are available on the iTunes Store. All tracks are Mastered for iTunes and fans can download the full albums or individual songs. They can also choose from two specially packaged digital compilations: The Complete Collection, comprising the entire iTunes-exclusive catalogue; and The Collection, with all 16 studio albums.